Hello! Today we have another fascinating guest post from author James Goulty. Here James gives us an in-depth look into Battle School Training and the Korean War. Enjoy! James new book Eyewitness Korea is out now. Throughout much of its history the British Army has relied on drills to teach soldiers skills and tactics. The modern origins of battle drill lie in the First World War, when notably under General Sir Ivor Maxse (commander of 18th Division and later Inspector General of Training to the British Expeditionary Force) applied the idea of parade ground drill to the instruction of tactics suitable for contemporary warfare. His regularity in approach went hand-in-hand with lively training methods and efforts to promote individual initiative, so as to ensure soldiers were better faced to meet the impact and demands of combat. During the Second World War, battle drill was again employed to teach infantry minor tactics via specially established battle schools at divisional level. Drills covered a multitude of situations that soldiers were liable to meet on the battlefield and were enshrined in various War Office training pamphlets/manuals. Among other things there were drills for the mounting of a platoon flanking attack, assaulting pill boxes and fortifications, house-clearing, and dealing with isolated cover and small woodland. Inextricably linked with the teaching of all the various drills, was instruction in fieldcraft and concealment and weapon handling, in an attempt to produce as effective infantrymen as possible. As in the First World War, the theory behind the battle drills was not to stifle individual initiative, but rather to inculcate soldiers with the will to succeed, especially at junior officer and NCO level, who were encouraged to use concise orders rather than the more lengthy versions they were used to employing. Matters were greatly aided by the adoption of the Bren light machine gun (3 per platoon) in the late 1930s as a replacement for the heavier Lewis gun, and it remained in service during the 1950s. It made fire and movement tactics even more practicable than before, and it was a basic tenant that if the riflemen in a platoon were moving, then the Bren should be providing covering fire and vice versa. Each platoon also had a 2-inch mortar, mainly to produce smoke, although few troops had much good to say about this weapon which resembled a small piece of drain pipe. Again during the Korean War it was often a disappointment when employed at night to fire illuminating flares, which frequently failed largely owing to defective ammunition. As well as platoon anti-tanks weapons, infantry could rely on support from heavier 3-inch mortars, and Vickers medium machine guns. Both of these were reliable weapons, although cumbersome to transport, especially on a man-pack basis, and continued to be used in Korea. Critics of battle drill often cite the fact that it risked producing stereotyped tactics as being problematic. However, it was probably better for troops to have some idea of tactics than none, especially if individuals lacked initiative. Crucially, as the War Office manual: Infantry Training, Part VIII, Fieldcraft, Battle Drill, Section and Platoon Tactics (published 4 March 1944), emphasised battle drills were not supposed to be slavishly copied, but rather acted as a guide on what to do in certain situations, or be ‘wisely used and applied.’ Another factor in support of battle drill, was that it was taught via the battle schools, that based their instruction around the ‘Holy Trinity’ of teaching battle drills, making trainees undergo rigorous physical activity such as lengthy, muddy assault courses, and exposure to live fire. The latter provided troops with a sense of what it was like to come under fire, such as when working as an attacking force against an enemy held position. It was possible to bring live small arms fire relatively close to troops or use overhead fire to achieve what was dubbed ‘battle inoculation.’ There were casualties, even fatalities when using live ammunition, but overall such attempts at providing realistic, tough training were frequently welcomed by soldiers who knew sooner or later they would be pitted against the might of the Nazi war machine. Initially some wartime battle schools even employed what was termed ‘blood and hate training,’ but this was later dropped as being of questionable value. The basic idea was that trainees should be exposed to the horrors of war. Consequently, instructors exhorted them to really despise the enemy so that their ‘blood was up,’ plus in an attempt to replicate the gore of the battlefield animal blood would be splattered about or trainees even made to visit slaughter houses. After 1945 troops continued to learn battle craft as part of their peacetime training. However, as Training for War emphasised, battle schools were usually ‘integrated as part of the Divisional Reinforcement and Holding Unit, and normally authorized only in war.’ This was to prove highly relevant during the Korean War. On 25 June 1950 North Korea invaded South Korea, and rapidly the UN asked its member states to assist in repelling the invaders and restoring international peace and security in the region. During summer and autumn 1950 ground troops from several nations arrived, including those from the under-resourced British (later Commonwealth) 27th Infantry Brigade. Initially much of the fighting was confused against a wily foe that coupled with the terrain and inadequate infrastructure made life awkward, particularly for Western troops during 1950-1951. Notably the North Korean People’s Army (NKPA) favoured infiltration tactics, even making use of refugee columns to disguise troop movements. They were comparatively well trained and equipped along Soviet lines, making good use of mortars, and at close quarters the Burp-gun, a type of sub-machine gun with a high rate of fire was potentially formidable. It was so called owing to its distinctive sound on firing, and this had the added psychological advantage that it ‘announced’ the Communists were in action. Experienced British troops who encountered the NKPA, likened them to the wartime Imperial Japanese Army, not least because North Koreans seemed to favour tactics such as ‘Banzai charges,’ or suicidal close range charges to engage with their enemies, often preceded by a shower of hand grenades. Subsequently, 27th Brigade would be joined in theatre by the 29th Independent Infantry Brigade Group, an all arms formation that was akin to a miniature division replete with all necessary logistical/support units, plus a range of combat units, including an armoured regiment with Centurion tanks. Both fought as independent brigades attached to American corps. In July 1951 the British Army went on to play a pivotal role in the activation of 1st Commonwealth Division that fought for the remainder of the war. As well as fighting the NKPA, British troops confronted the Chinese, who typically proved fairly adept at handling heavy weapons, good at fieldcraft, and were prepared to employ mass infantry attacks in an effort to wear down enemy units. When on the defensive both the North Koreans and Chinese could be tenacious and fanatical, and in general seemed prepared to accept high casualties, something which could be disturbing, especially for Western troops, including those from Britain. By mid-1951 the mobile warfare of the first year of the war had given way to positional warfare roughly along the line of the 38th Parallel. As peace negotiations began at Kaesong (later Panmunjom) the war continued, and during 1951-1953 with the front stabilised hostilities were predominantly static, with neither side prepared to risk escalating the war or losing the territory they’d gained. Up until the July 1953 ceasefire, soldiers from 1st Commonwealth Division and other UN units engaged in limited operations supported by tank gun fire and artillery, actively patrolled no man’s land, and maintained their own defences against the threat of enemy attack. On 28 August 1950 Number 1 Battle Training Team was established in London, and shipped to Korea, arriving in early November. It was tasked with training specialists and junior leaders from the two British brigades posted to Korea, and initially based at Taegu. The unit was commanded by Lieutenant-Colonel (later Brigadier) M. R. Lonsdale DSO, OBE and comprised six officers and fifteen other ranks. Lonsdale’s obituary described him as ‘a first class soldier with a slightly unorthodox approach to life.’ He held various staff appointments during the Second World War, and saw action notably during the North-West Europe campaign 1944-1945, and post-war in the Middle East. A report issued in the Japan News (a newspaper issued to troops from 1st Commonwealth Division) in 1951, described how Lonsdale, ‘scorns the formality of a shirt’ and ‘directs operations wearing beret, slacks, gym shoes and field glasses.’ He was also became well-known for his ribald addresses to trainees, and carried a large stick, that acted like a badge of rank, and would be used to ‘beat’ anyone who made a mistake. 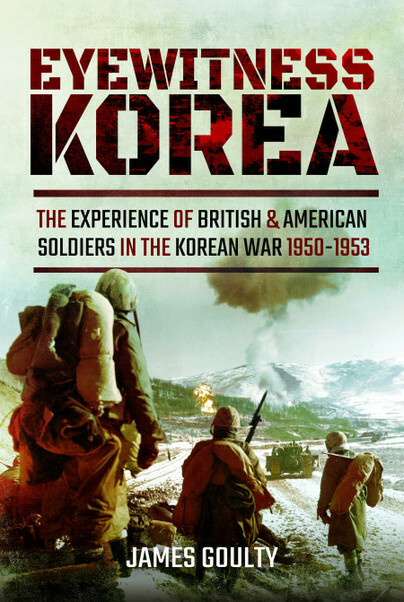 One junior British officer, who encountered him during his training, reckoned many troops in a sense grew fond of him, and with his regular use of profanities he was well suited to his role in preparing troops for active service in Korea. Conditions were found to be unsatisfactory at Taegu, and after running a few courses the team moved to Hiro, Japan to continue its work. The impact or effectiveness of these very early courses during November-December 1950 is open to question. One National Service subaltern with the Royal Artillery recounted how much of what he experienced seemed little different to what he’d learnt in the Combined Cadet Force at his public school, and that as a gunner adviser he spent a lot of time swanning about the countryside helping to plan imaginary battles, or playing football if it wasn’t administratively possible to mount a training scheme. However, this would rapidly change in May 1951 as the team was moved to Hara Mura about 20 miles north of Kure and was ordered to form an operational battle school, incorporating facilities such as barracks and firing ranges that had once belonged to the Japanese military. The scope of training was dramatically increased to include the medium machine gun, mortars (both 3 inch and 81mm), and alongside infantry training, there was to be instruction for assault pioneers, signallers, and personnel from the Royal Armoured Corps and Royal Engineers. Notably, infantry were also introduced to new/unfamiliar weapons, such as the American 3.5 inch Rocket Launcher that replaced the wartime Bazooka, and would also be issued to British units in Korea. Subsequently, the organisation became 1st Commonwealth Division Battle School, when the training of British troops was largely integrated with that of Australians and Canadians. This led to a degree of competitive rivalry between the troops from the different nations, something instructors were keen to foster during training. The aim from mid-1951 was to provide drafts of infantry reinforcements, and specialists such as mortarmen and signallers, with intensive training in weapon handling and firing, fieldcraft and patrolling, battle inoculation and night warfare, all of which had direct relevance to the type of war being waged in Korea. As one former battle school instructor put it they were trying to produce physically fit, ‘self-confident infantrymen,’ capable of handling their weapons effectively, and dealing with the levels fatigue and stress they were liable to experience in combat. Sometimes artillerists even trained on the heavier 4.2 inch mortar at the school, and Royal Marines were provided with opportunity to work with explosives and to hone their infantry skills. As the war progressed soldiers were posted as instructors to the school who had direct frontline experience from Korea. Clearly this might have been highly advantageous, but there were potentially draw backs as well. Given units in theatre were asked to send men as staff to Hara Mura, there was clearly an incentive not to send their best men (who may have made the best instructors) but rather to send those who were often inexperienced, and arguably better suited to employment away from the frontline. As at wartime battle schools, training at Hara Mura was deliberately physically demanding and frenetic with a strong accent on realism. This was important as tough or ‘rugged’ training as the British Army termed it in the 1950s, ultimately saved lives once troops were committed to battle for real. However, conditions were devoid of the sort of bull common to most British Army postings, something many trainees welcomed, and may in part be attributed to the presence of Commonwealth troops, who were often more relaxed disciplinarily wise than their British counter-parts. Despite this, snap inspection s could occur at any time, so troops soon learnt the value of such things as caring for their weapons, equipment and ammunition, even using the short breaks on route marches to swiftly clean their rifles. Many courses started and/or finished with a gruelling 20 mile route march covering the territory between Hara Mura and Kure, where the reinforcement holding unit was based. Once at Hara Mura troops rapidly became accustomed to runs/route marches and exercises in the hills that surrounded the camp. Practicing a fighting patrol in 1952 for example, might consist of a dash over open ground, littered with obstacles in order to destroy an ‘enemy’ bunker. Troops would then race back to the start line and it was all timed to see who was quickest. Battle school trainees also tended to received short, punchy lectures in the field followed by demonstrations such as ‘the platoon in the attack.’ Frequently deliberate errors were fed into these so that trainees had to identify what was wrong, and explain why this was so. The importance of fire and movement, allied to the value of intelligence and surprise were central themes. Likewise, becoming proficient in handling a variety of infantry weapons, including hand grenades, was important, especially for drafts that may have only recently arrived in Japan after being cooped up aboard a troopship, where the scope for training was limited. Some trainees found that it was great fun shooting at hidden targets with Sten and Bren guns in the scrub covered hills that closely resembled much of the terrain in Korea. In such terrain troops could also practice assaults, while freely providing each other with close fire-support, something they would come to value on active service. All of this was done using live ammunition. Battle inoculation frequently was akin to that delivered in the Second World War, with live fire from a Bren gun overhead and/or kicking up the earth around 20 yards in front of troops, while mortars fired nearby to simulate a battle like atmosphere. The ‘pepper pot’ type of attack provides a good example of the sort of drill or battle craft taught at the school, and was one that Lonsdale was particularly keen to promote, as it was applicable to offensive warfare in Korea. It relied on fire and movement but required skill and practice to perfect. Essentially while some men dashed forward, others gave them covering fire before they advanced under the covering fire from those in front. To the enemy this could appear confusing and hap-hazard as he was presented with no good targets and couldn’t easily estimate the number of soldiers opposing him. The use of live ammunition and explosives clearly risked casualties or fatalities, and one of the graves at the large military cemetery at Pusan belongs to a young soldier who was tragically accidentally shot during training at Hara Mura. However, as with any competent military organisation, such incidents were kept to a minimum, and it was noticeable that under Lonsdale’s successor, Lieutenant-Colonel Pat Douglas MC (Black Watch), safety precautions were tightened-up. By June 1953, around 23,500 soldiers of all ranks had passed through the battle school. These were all reinforcements or replacements destined for Korea. In other words the battle school never catered for entire units, and this makes it more difficult to assess its overall impact. However, it certainly ensured that a great many troops went to Korea better prepared than they might otherwise have been without such training. This was significant, especially for the British, given that many trainees both in the ranks and at junior officer level were relatively inexperienced National Servicemen i.e. conscripts. Some units, including 1st Battalion Durham Light Infantry (DLI) that served in Korea during 1952-1953, bemoaned the level of wastage that occurred, and would rather have operated its own training cadre in theatre than rely on what felt like a distant set-up in Japan. Yet, based on the quality of the reinforcements he received, 1 DLI’s commanding officer considered that Hara Mura had provided highly worthwhile training. If you would like to read more about the Korean War, including personal experiences of the battle school, please see my forthcoming book: Eyewitness Korea (Pen and Sword, 2018)-Thank you. This article provides a summary of battle school training during the Korean War and draws comparisons, particularly with Second World War experience. It is based on the author’s correspondence/interviews with former battle school instructors and trainees, plus a variety of official documents, letters, and books. Full details of these can be found in Eyewitness Korea and The Second World War through Soldiers’ Eyes (Pen and Sword, 2016). We hope you enjoyed this fascinating post from James Goulty. To learn more about the Korean War take a look at the newly released Eyewitness Korea. Previous PostPrevious It’s sale time!! 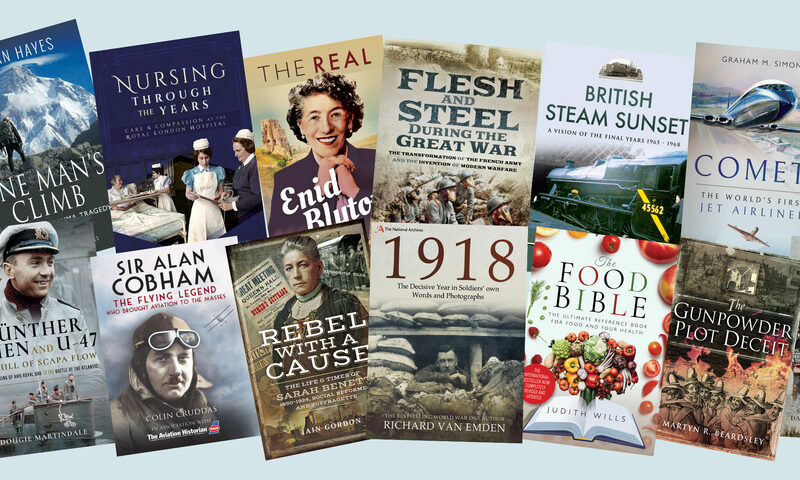 Next PostNext 50 eBooks for under £5! !